Planning a wedding requires a great deal of efforts. Even searching for unique wedding invitation ideas is tough but it also one of the crucial aspects of wedding planning. Through the wedding invitations, we put forward all the details of the wedding in front of our guests. So invitation is a crucial step in the wedding as it provides all kinds of information about the wedding to the invitees .We can always call our guests personally or can send them emails for invitation but a formal invitation is always better as it contains all the relevant information about the event and it also serves as a memory for lifetime. Wedding planners always look for extremely innovative and unique wedding invitations ideas that fully fits into the theme and the mood of the wedding. 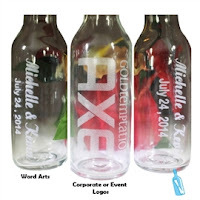 There are many types of wedding invitations that can be looked upon and it can be customized as well to make it a perfect invitation for the wedding. Here are few unique wedding invitations ideas that can help you to make your wedding day even more special. Some of the couples love to put their pictures on the cover of their wedding cards. Adorable and memorable pictures can be put in many different ways . Full face pictures or just the pictures of your face can be put on the wedding card. Even black and white pictures can also be utilized to impart a classy look to the invitation and they can surely make your invitation card look perfect. you can put your wedding particulars on them. Sending wedding messages in bottles is hot favorite among the couples these days .Sending invites in specially customized and decorative bottles is a great idea and the bottles can become cherished items for the guests. If you have a creative and artistic bend of mind, you can always include memorable pictures of you and your spouse in a post card styled invitation. Also you can put pictures of the significant places you have visited .It is also good way to save on the budget and you can always design the wedding postcard yourself. Couples can also take the help of the expert artist if they are looking to achieve impeccable results. A wedding invitation of your choice will make your wedding memorable by adding a personal touch to it. Creative and unique wedding invitations ideas can serve as a momento for the most special day of your life. Take out some time to choose the invitation format that truly reflects the style of your wedding and communicates everything you want to share with your guests. Every Kid’s Dream Come True With A Pirate Theme Birthday Party! Forget the old boxed cards; send an Invitation in a Bottle! Best way to invite people to baby showers, birth announcements and birthdays ! 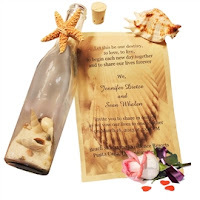 Copyright © 2013 - Message In A Bottle Invitations.